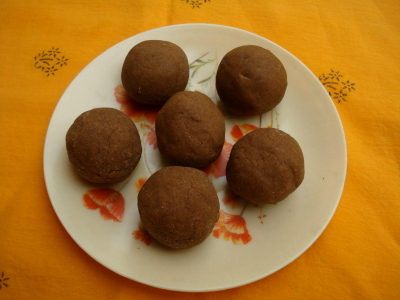 Sathu maavu urundai or Health mix ladoo recipe is super easy, quick ladoo recipe which can be prepared in just 2 minutes. Heat water and Jaggery in a pan. Boil till Jaggery gets melted in the water. Strain the impurities from jaggery water. Add the boiled jaggery water to the multigrain flour and mix with a spoon. Make small balls and serve.